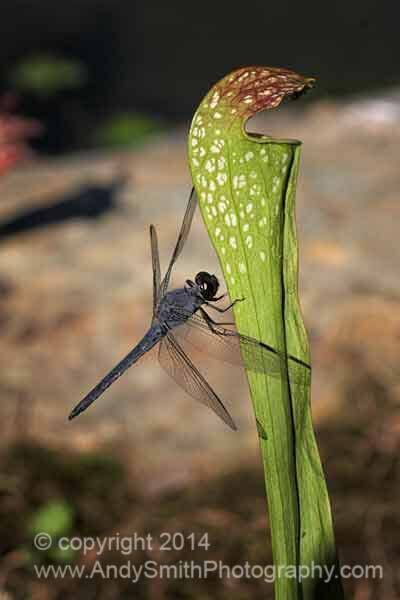 The Pitcher Plant, Sarracenia purpurea, is a native North American carnivorous plant that lives in bogs. The plant lives in nitrogen poor soil and captures insects to supplement its nitrogen intake. This particular specimen is in the Jenkins Arboretum in Devon, Pennsylvania, although it naturally occurs farther South.